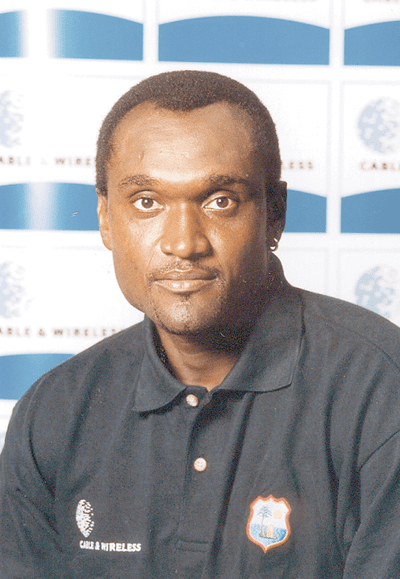 Carl Llewellyn Hooper (born 15 December 1966) is a former West Indian cricket player and a former captain of Tests and ODIs. 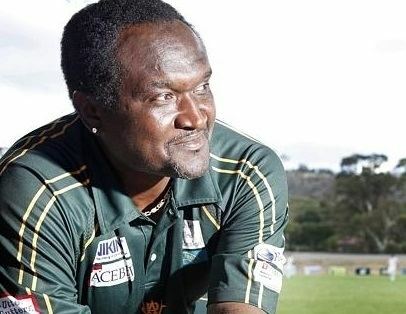 He was a right-handed batsman and off-spin bowler, who came to prominence in the late 1980s in a side that included such players as Gordon Greenidge, Desmond Haynes, Malcolm Marshall and Courtney Walsh and represented the West Indies over a 15-year international career. His highest innings score of 233 was made during a Test match against India in 2002 at Bourda, Guyana. 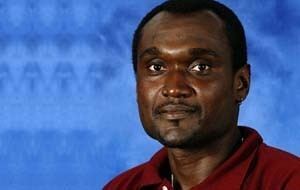 He has made 5,762 runs in his Test cricket career. 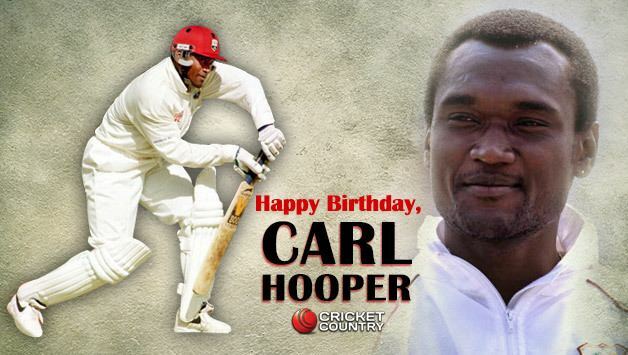 Hooper represented Guyana at local first-class level, and played English county cricket for Kent and Lancashire. In 2003, Hooper became only the second player to have scored a century against all 18 county teams. Hooper holds the accolade of being the first cricketer in the world to have scored 5,000 runs, taken 100 wickets, held 100 catches and received 100 caps in both ODIs and Tests, a feat only matched since by Jacques Kallis. In his autobiography, Steve Waugh writes that "quickness of feet and sweet yet brutally efficient stroke play were Hooper's trademarks." He was routinely prematurely dismissed, however, after losses in concentration. Shane Warne also thought very highly of Hooper's footwork and, in 2008, named him among the top 100 cricketers of his time, citing in particular his ability to disguise his dances down the track. Warne felt that determining when a batsman was going to give the charge was one of the most important things for a spinner, and that Hooper was the best at making it indeterminable. "During the 1995 series," he wrote, "this really nagged away at me, because I couldn't spot any of the usual clues even though I knew there had to be a sign that would give him away. On a number of occasions, I stopped at the point of delivery to see if he was giving anything away with his footwork. Most batsmen would be looking to get out of their ground at that point, whereas Hooper just stayed set. In the end, after watching him closely time after time, I managed to crack it. When he wanted to hit over the top, he just looked at me instead of tapping his crease as usual and looking down. Of course, my knowing what he was going to do did not always stop him from doing it." Hooper was also a strong slip fielder, usually at second slip. He took numerous catches from the likes of Ambrose and Walsh. He is one of only three players to have scored centuries against 18 different English county sides. 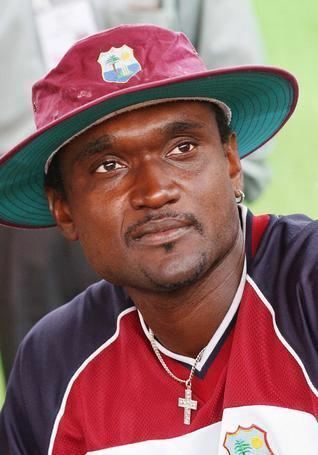 Hooper first announced his shocking retirement three weeks before the 1999 Cricket World Cup but made a surprising comeback in 2001 and captained the West Indies team in 2003 Cricket World Cup. West Indies failed to progress to the second round after some miserable performances in the first round of tournament. Despite that, Hooper was retained in the side but this time, he pulled himself back and finally retired from the game as he wanted a youngster in the team instead of him. Hooper has lived in Adelaide since the late 1990s. He was named coach for the Woodville District Cricket Club in Adelaide, South Australia for the 2010/11 and 2011/12 seasons. 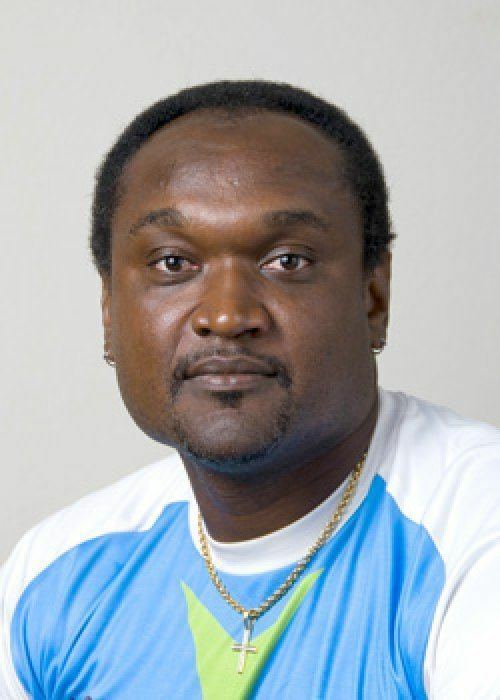 Hooper has been appointed as batting coach of the Sagicor High Performance Centre to groom the talent pool of young West Indian batsmen. In February 2013, Hooper said that if fallen comrade Hansie Cronje's match-fixing demise proves then anyone can succumb to the temptation. Hooper has been against the idea of the Indian Premier League. In October 2012, he said that the IPL is one of the biggest threats to cricket.